The global crisis which began from the loss of hedge fund in the Sub-prime mortgage loan of Bear Sterns in June 2007 have affected on the global financial market with the bankruptcy of Lehman Brothers in September, the effectuation of relief loan bill in America and the stagnation of object-economy. In October, especially, the fluctuation of global stock market and foreign exchange market hit the sky because of the influence of the lack of dollar? liquidity and the 'Credit crisis' among financial institutions. As the growth of instability in the financial market, the stagnation of object-economy has been emerging. As the global financial crisis continues and the growth rate of the world economy has slowed, it is difficulty to say about the future of exportation which has led our economic growth. That is because the depression of developed countries gives negative effects on developing economies so that the exportation of Korea is expected to be decreased. Foreign currency liquidity has sharply tightened because of the instability of the global financial market. In result, foreign currency borrowing is in a bad situation as Currency Swap(CRS) has fallen into minus figure. As people have avoided to invest in risk assets, banks are having a financing difficulty in the nation. As banks need more expenses to raise capital, the average interest rates for a business mortgage raised by 0.7 points to 7.44% in September 2008 from the same month last year in which it was 6.74%. The main reason of the tight liquidity is that some of leading foreign media raised question about the foreign currency liquidity for short-term debt of Korea and foreign currency borrowing of banks, and also international financial markets made this question large problem so that they have worsened our environment to borrow money. As you look at the data in the past, domestic stock market volatility had expanded whenever there had been concerns about economic depression and negative factors in finance which started from America such as Lehman brothers. That was because foreign investors sold their shares to be concerned about the global business recession and to secure their currency liquidity preparing for huge write-offs on bad financial institutions in the USA and Europe. Another important reason to expand domestic stock market volatility was that foreign investors including hedge funds sold shares which they did not possess or which they borrowed. It is expected to have a gradual relief in financial instability but to continue the economic stagnation so that it is inevitable to show a fluctuating stock market. Tightened capital markets may cause to rise interest rates and accelerate insolvency of vulnerable financial sector such as loans for households, real estate PF and small and medium businesses. Under the circumstance of having a household debt which reached 660.2 thousand billion won in June 2008, continuous raising the loan interest rates plays a role to dampen the consumption and to lead bad household's economy. Because of stagnation of real estate business, overdue rate of real estate PF loan has risen from 11.6% in the end of 2007 to 14.3% in the late June of 2008. Small and medium business loan of savings banks has fallen from 5.7 thousand billion during January to July in 2008 to 1.9 thousand billion between August and September, which has deepened financial difficulty of the businesses which highly depend on loans. 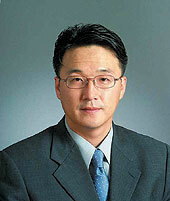 However it is not likely to expand to general financial weakness in Korea. Increase in exchange rate causes inflation, weakens purchasing power and decreases consumption. Because of recent rising exchange rate, inflation rate of imported goods based on won is greatly over that based on dollar, which leads inflation. The growth rate of private consumption stays in 2% because of the slow growth of real income in households due to inflation. Rising exchange rate, especially, worsens the payability of domestic demand bound companies and increases burden of interest and principal payment on foreign loans of businesses. In the case of locally geared companies, while the rising exchange rate and a high raw material price make their cost high, it is difficult to raise the price because of the stagnation of domestic economy. Sliding share prices causes reverse assets effect and difficulty in raising funds so that it cools the sentiment of consumers and businesses and contracts the economic activities such as consumption and investment. 1% decrease of real financial asset of private declines about 0.23% in real private spending. As the number of people who have invested on stocks since 2006 has increased and the ratio of stocks and loan has risen, the impact of sliding share prices on will expand. Particularly stock is the most powerful factor among others such as stocks, the real sales, personnel expenses which decide business sentiment. It is expected not to cause rapid contraction of because of the stock market instability as domestic stock market is gradually being recovered with the relief of the global financial instability. It seems to have a slowdown of foreign investor's net selling because of weak won and sliding share prices and to limit the further share price slump. There is also a high chance to increase the stock prices when the impact of each nation's relief loan package and liquidity relief becomes apparent. It is expected to relieve inflation because of the reverse of falling trend in international oil prices so that interest policy should focus on preventing economic recession. Exchange rate policy should focus on the range of fluctuation of exchange rate and lead stable declining tendency. We need urgently to make measures for invigorating economy after the last quarter of 2008 which the economic recession will prevail in. Large expenditure has an advantage in achieving fast result such as increasing employment and enables us to invest intensively on the sectors which help stimulate economy in a short time. Korea? national debt versus the GDP, which was 29.4% in 2007, is relatively healthy so that there is a room for expansionary fiscal policies. We should promote to expand expenditure and to continue existing tax reduction policy and examine to reduce income taxes for encouraging spendings. It is important to secure the growth engine enlarging the supply ability. Expanding supply ability such as improving productivity, innovating technology, and finding new growth engines, also contributes to enlarge a mid and long term growth potential.